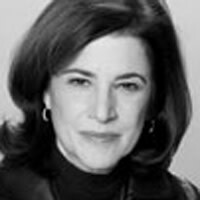 Ellen Galinsky updates the vocabulary of the women’s movement. While I am deeply grateful for business leaders who amplify the debates and reporters who give a platform to the debates—taking place around the proverbial kitchen tables and water coolers for decades—I’m reminded yet again how much I loathe the terms of the debates, and how these seemingly innocuous words invariably hamper, not foster, change. My dislike of the terms of these debates is not new and has always been based—first and foremost—in empirical research. I launched my first study on work and personal life in the late 1970s and Families and Work Institute has been conducting the most comprehensive ongoing nationally representative studies of the workforce and workplace ever since. · are, at their core, judgmental, even pejorative. Below are the top five terms I dislike and suggestions for different language. If we can change the way we talk about work and personal life, it may—just may—change what we as individuals do and how the institutions in our lives respond. NEW: Thriving Through It All. The earliest images of managing our work and personal lives were all about women walking a tightrope, or juggling too many balls in the air, or holding their work selves and their homes selves on opposite sides of a scale—or even wearing a Superwoman-like cape, flying through the air with briefcases and children in tow. I can’t even count how many times I’ve seen the magazine covers, the conference posters, or the business programs with these women staring back at me. These images are misleading first because they are only about women. Our studies show men experience the work-family conflict more than women. In 1977, 35 percent of fathers in dual-earner couples, for example, experienced “some” or “a lot” of work-family conflict compared with 41 percent of mothers. By 2008, the percentage for fathers had soared to 60 percent, compared with 47 percent for mothers (which was not a statistically significant difference for women). Just ask Michael Winerip, who penned an op-ed in Sunday’s New York Times that reminds everyone that men aren’t really able to “have it all” either. “I, the dad, had to make career ‘sacrifices’ to run the family’s domestic life,” Winerip wrote. The image of “having it all” implies you have to do it all. And that is not realistic in any of our lives, as a recent study of free time we conducted proves. These terms imply that many of us have choices, which is not true. Our studies of men and women, especially those in the low-wage workforce, indicate that they don’t feel they have many choices. Finally, these terms focus on parenting and child care, where all of us have lives outside of work, not just parenting, including the almost half of us (42 percent of the workforce) who took care of elderly parents and relatives over the past five years. Given this misfit between the images of work and personal life, I decided to ask employees themselves in a survey how they saw themselves—the juggler, the balancer, the super-person, etc.? I found in my research that most want to be able to do their personal best (not be perfect) at work and in their personal lives. They would also like fewer constraints so that they could be more likely to thrive. So I suggest we focus on reducing the constraints and let each of us define how to best thrive, or THRIVING THROUGH IT ALL, on an everyday basis, not the guilt-producing image of having it all and doing it all. Balance conjures up an image of a scale, where if we give to one side of our lives, we take away from the other. It is a 50/50, either/or proposition. Families and Work Institute’s research shows that work can enhance our personal lives and our personal lives can enhance our lives. It is not a win-lose, zero-sum game. In fact, our research found that about 30 percent of employees report their work provides them with more energy for their personal or family life. I prefer the notion of WORK-PERSONAL FIT, coined by blogger Cali Yost because it implies that each of us has to work on the fit that works best—in any one day, week or month. OLD: Quality Time Versus Quantity Time. NEW: Focused Time Versus Hang-Around Time. It is another one of those either/or guilt-fueled debates—should we be having quantity time or quality time with children? My studies, including Ask the Children, reveal that both the amount of time and what we do in that time with children can’t really be separated. Both are important. When I asked children in that study about what’s important about the time they spend with their parents, they reported they want some time that is HANG-AROUND TIME (not always scheduled) and some time that is FOCUSED TIME (where they talk about the things that matter, where their parents are there for them). They also reported that it is the small things not the all-star fancy vacations and toys—but the everyday traditions that they will remember most from their childhoods. Much of the discussion around workplace flexibility implies that employers are accommodating (giving a favor or a perk) to employees. You can see this thrust in the current telecommuting debate at Yahoo. Again, an either/or debate­—this kind of assistance is depicted as helping employees, not employers. Our research shows that it can benefit both, that there are many ways to be flexible, and that most employees who work flexibly don’t do so very often. If it is to be effective, flexibility needs to work for both the employer and the employee—thus, it is a BUSINESS STRATEGY not an accommodation. The concept of work-life (as opposed to work-family) began to appear in the 1990s and has remained fixed in our vocabularies. It was in response to the fact that most people thought of family in traditional terms (parents with children terms) yet family life is very diverse. But since when is work not life or life not work? I suggest we think of WORK AND PERSONAL LIFE (which can encompass family life, and things beyond work and family, such as volunteer work). Maybe this time around, this high-profile debate can be a prompt to finally change the unworkable, judgmental, inaccurate language. Let’s get the language right so we can begin to address the issues raised by the fact that we all have work and personal lives we care about.